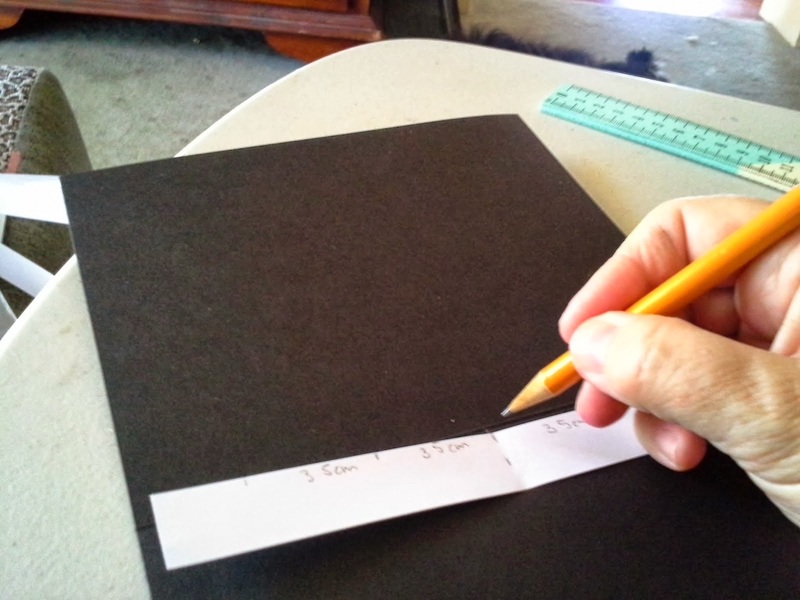 This is very simple bookbinding that was prompted by my different passwords for so many things. I was sick of resetting them, so I have been meaning to do make one of these for ages. 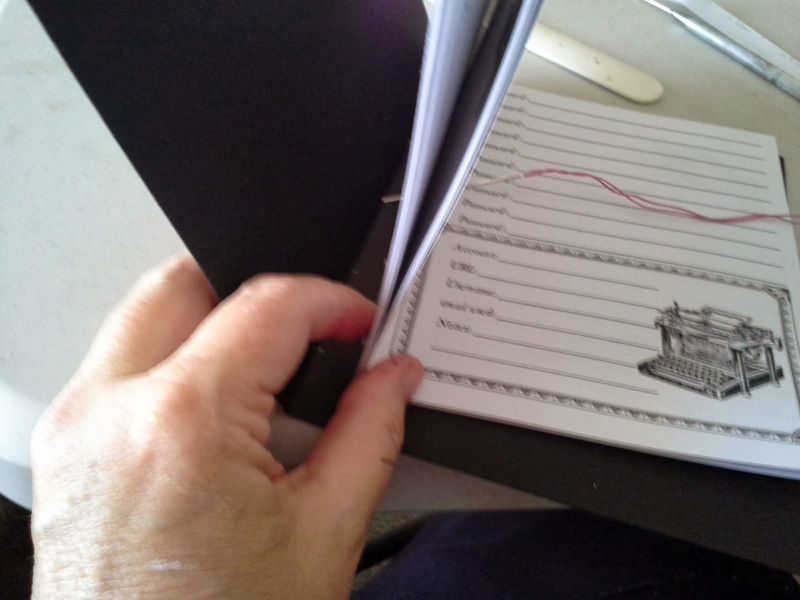 Firstly, I decided what sort of size I needed for this password book. I found an easy template to use that would be not too big – about A5 so I could print off the template for the middle pages in A4 and then fold in half. Thanks to http://serialcrafting.blogspot.com.au/2012/10/password-organizer.html for the template. I then trimmed the pages down to fit my desired size – approx. 2cm off both ends and 1cm off both sides. I measured up 5 holes evenly across the cover using a paper ruler and then lined it up on the pages from the inside. I then pushed an awl through the hole lot (5 times). I threaded some crochet cotton double and I entered from the centre – I wanted some beads on the outside. If you want the knot not to show on the outside, start from the inside. I secured the knot at the end making sure that the stitches were firm but not tight. I just couldn’t help myself (they were burning a hole) so I had to use the Paper Artsy Eclectica stamps (Darcy series 1). I sprayed some Dylusions dyes (bubblegum pink, white linen, sunshine & black marble). 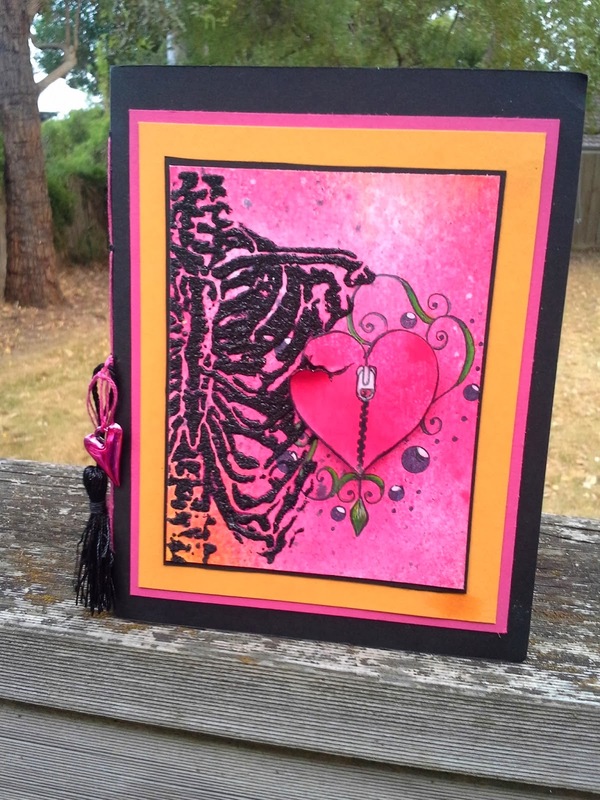 I coloured in the leaves around the heart and the zipper tag with Wink of Stella pens. 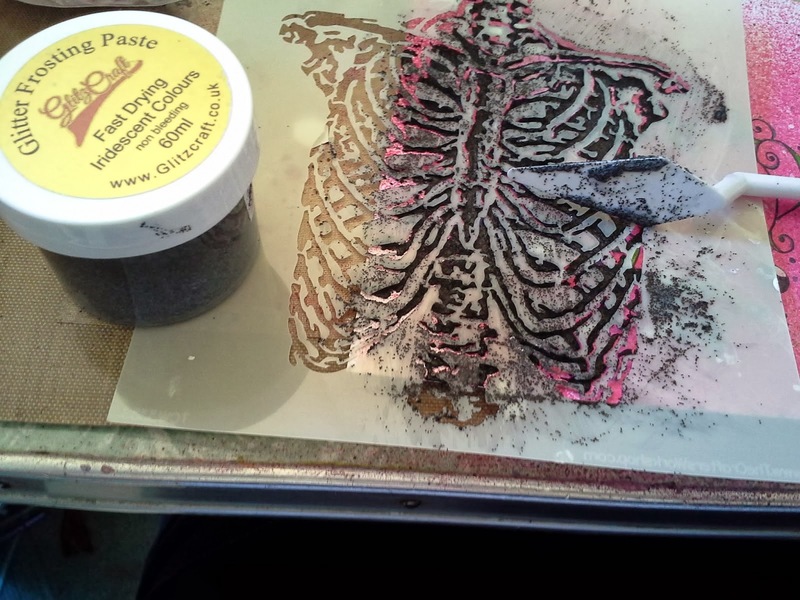 Because I had to use the zippered heart I then fancied a stencil skeleton as they go together anatomically (TCW), and then I scraped through some black glitter paste. I layered the heart as it became lost behind the skeleton, cut along and curled the “torn” line. I then layered and mounted this to the Password Journal. I now just need to fill it in all the pages with my passwords.Hope you all enjoy this project as much as I did!